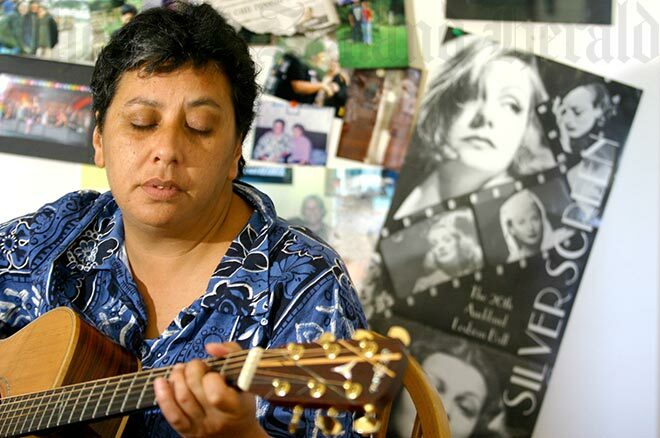 Mahinaarangi Tocker, pictured in 2006, was an important figure in the New Zealand music scene from the early 1980s through to her death in 2008. A musician and composer, Tocker wrote over 600 songs in a range of styles but usually with a strong folk influence. She was also an outspoken advocate for lesbian and gay rights and for recognition of mental-health issues.